A case of illegal dumping in Port Sydney is continuing. My Muskoka Now.com first told you last week about illegal dumping that was taking place off of Bonnie Lake Road. Port Sydney’s Matt Montgomery had noticed tracks going off the road and investigated. He found multiple bags of garbage. The latest incident took place on Monday, with Montgomery noticing more tracks. This time he found an abandoned bench. Montgomery says in his opinion it is the same culprit as he recognizes the tire tread. A mechanic by trade, tires are something he knows, and he says it has been the same one in each of the now four instances of illegal dumping. 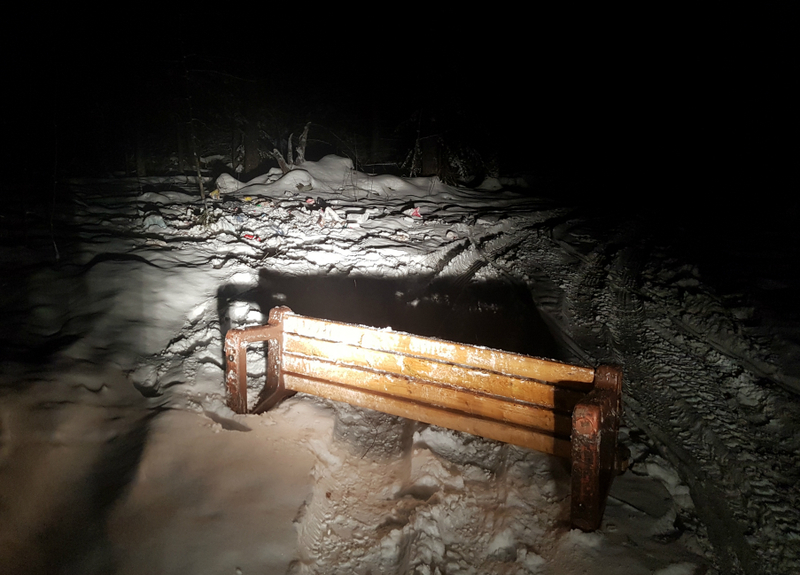 Bracebridge by-law confirmed it was investigating the case of dumping but no charges have been laid to date. Montgomery had found prescription bottles with a name and address on it in the garbage. 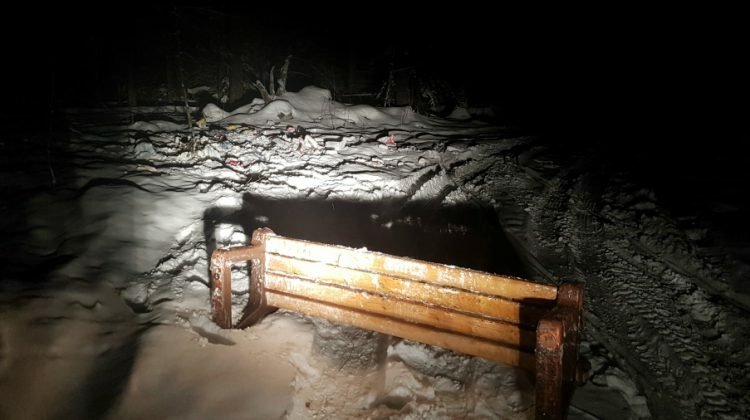 My Muskoka Now news called the number, with the person answering, saying they knew nothing about how their garbage had ended up on the trail, which is on private land, just south of where the road takes a turn west. An address in the garbage is not enough to go on says Bracebridge by-law enforcement. Montgomery says it is not just the garbage being dumped, but now trees near the trail are being damaged that has him angry. Montgomery estimates the latest incident took place around 3:00pm on Monday. He figures some people driving by have seen the off-road style truck, and maybe not realized what they were seeing in terms of the dumping that was taking place. 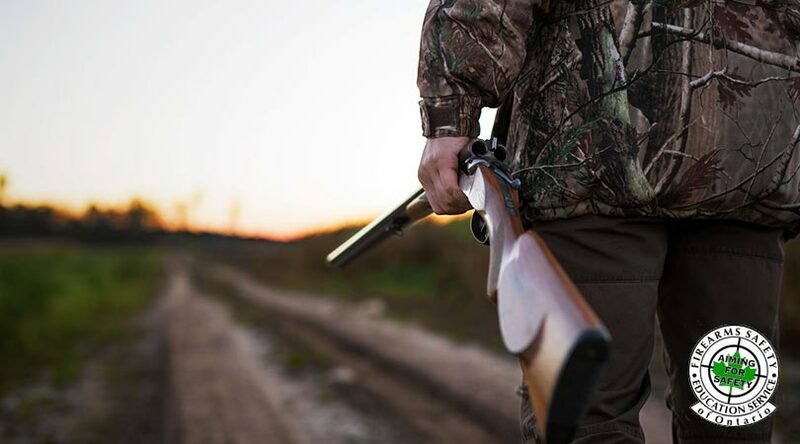 If you have spotted a vehicle entering or leaving Bonnie Lake Road from a trail you are asked to contact OPP at (705) 645-2211 or by-law enforcement (705) 645-5264 ext 250. 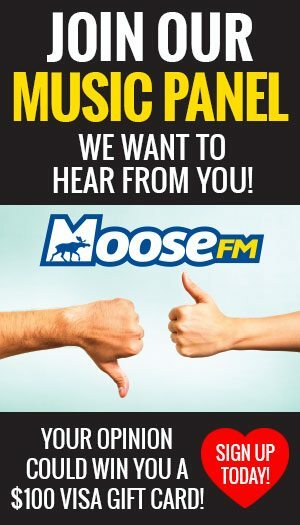 Stakiw confirmed with MyMuskokaNow.com last week that Montgomery had filed a complaint, that it is being looked into, and that charges have yet to be laid. However, they typically won’t give out information on any active investigation. Since the dumping was first reported, Montgomery has noticed a trail-cam has been installed on a tree near the entrance to the dumping area. Stakiw says the trail cam has not been installed by the town as it is illegal to go on private property to install camera equipment. He does not know what agency might have installed the camera, only that it was not the Town of Bracebridge or his office. Montgomery says it is a 4G enabled camera, with those models typically working on a motion detection basis. If something passed the camera, it would take a picture and send it to a pre-set email address.